The National Association of REALTORS®, “The Voice for Real Estate,” is America’s largest trade association. 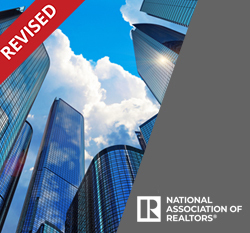 NAR’s 1 million members, including NAR’s institutes, societies and councils, are involved in all aspects of the residential and commercial real estate industries. Access to this product will expire in six months from the date of purchase (unless your state’s CE requirements are different). Following the six months, up to 2 three-month extensions can be purchased for $49 each. Montana The CE Shop Inc.